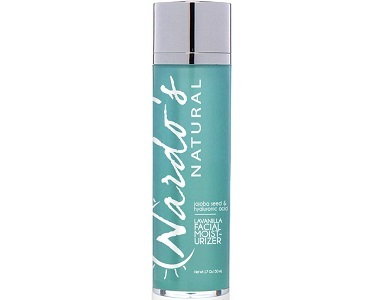 Nardo's Natural Facial Moisturizer Review - Does It Work? The following review is for a product called Nardo’s Natural Facial Moisturizer. It is designed to combat the signs of aging by keeping the skin conditioned and nourished. 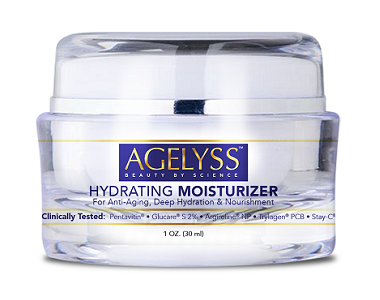 This all-natural hydrating and firming formula is ideal for revitalizing dry, scaly or rough skin, and is suitable for all skin types. What’s in Nardo’s Natural Facial Moisturizer? The ingredient list is quite long, and it is not clear which ingredients are active, and which are not. We have selected a few that we think might be the active ones. All these ingredients play important roles in your skin. For instance, Vitamin B5 is a powerful humectant, reducing the amount of water lost through the skin for daily moisture. This vitamin also increases the skin’s hydration and also helps to improve its softness and elasticity for a youthful look. Vitamin E Oil works by blocking free radicals from the body, which play a large part in the aging process. It acts as an antioxidant and intense moisturizer, keeping the skin hydrated. Green Tea antioxidants help fight signs of premature aging from free radical damage. Pomegranate Seed Oil has antioxidant, and photoprotective properties, that help with hyperpigmentation. Olea Europaea (Olive) Oil is a powerful nutritive, excellent moisturizer, and alleviates skin dryness and sensitivity. How do you use Nardo’s Natural Facial Moisturizer? You can purchase this product through the manufacturer’s website and online retailers. It is available in two colors, the Lavanila and Bergamot. The Later costs $24.99, while the former is $26.00. We are not sure why the price is different, and the level of effect that each of the colors has on your skin. It would make sense that the most expensive is the most effective. However, we can only speculate as we have not found more information on this. Sadly, there is no mentioning of a money-back guarantee, which means that you should not expect to be reimbursed if the product does not work for you. Nardo’s Natural Facial Moisturizer might be an effective product in combating the signs of aging by keeping the skin conditioned and nourished. It contains natural ingredients, which is good for the skin. We like that it is suitable for all skin types. However, there are a number of things that we do not like. As this product is available in two colors, the price also differs, yet there is no information explaining how the two differ from each other. We are also not happy that the active ingredients are listed together with inactive ingredients, as it makes it difficult to tell which ingredients are active. Lastly, it is concerning that there is no money-back guarantee on this product. It is always better to choose a product that has a guarantee for your protection.